EAST GREENSBORO, N.C. (Oct. 3, 2018) – For its 10th annual Caregiver Education Conference, the Center for Outreach in Alzheimer’s, Aging and Community Health (COAACH) at North Carolina Agricultural and Technical State University has called upon veteran, multiple Emmy Award winning journalist Byron Pitts to serve as the keynote speaker. Beginning at 8 a.m., on Saturday, Oct. 27, 2018, at the Alumni-Foundation Event Center and the Student Health Center, the conference will assist those who play the critical role of caregiver in the lives of their loved ones who are impacted by chronic disease, Alzheimer’s and dementia. This year’s theme is “10 Years Transforming the Lives of Caregivers … The Journey Continues.” The full-day program will feature experts from the health, research and media industries to inform and equip participants with the best approaches to better manage the caregiving responsibilities. Pitts, co-anchor of ABC News’ “Nightline” and ABC News contributor, will speak to caregivers from personal experience of having loved ones affected by dementia. “Mr. Pitts’ late mother suffered from dementia and he has another relative who is currently living with the disease, so, we believe the caregivers will relate to what he has to say,” said Grace Byfield, Ph.D., COAACH program manager. He joined ABC in 2013 and he immediately joined the networks live coverage of the Boston marathon bombing investigation. Since then, Pitts has reported live from Baltimore, Dallas and Baton Rouge during their recent riots and protests. Pitts also played a key role in the network’s coverage from the Republican and Democratic National Conventions as well as the first presidential debates in the 2016 election year. 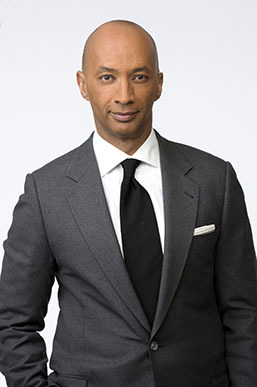 Prior to ABC, Pitts spent 15 years at CBS News where he served as the chief national correspondent for the CBS Evening News and filed regularly for “60 Minutes.” Pitts was named the National Association of Black Journalists Journalist of the Year in 2002. His 2009 memoir, “Step Out on Nothing: How Faith and Family Helped me Conquer Life’s Challenges,” chronicled his journey to overcoming a stutter and illiteracy to achieve success as a journalist. He also penned the book, “Be the One,” that profiles six young adults who overcame hardship with hope. Pitts began his career at WNCT-TV in Greenville, North Carolina and has family ties to Apex, North Carolina. The Caregiver Education Conference is free to all pre-registered participants and includes free lunch, parking, respite care, access to vendors, health screenings and small group sessions to allow hands-on interactive training. Participants who do not pre-register will be charged a $10 fee on the day of the event. To pre-register, visit the COAACH website or call Terri Long at 336-285-2165 or 888-248-2808. The registration deadline is Oct. 22.